This article originally appeared on the Luminous PR blog. 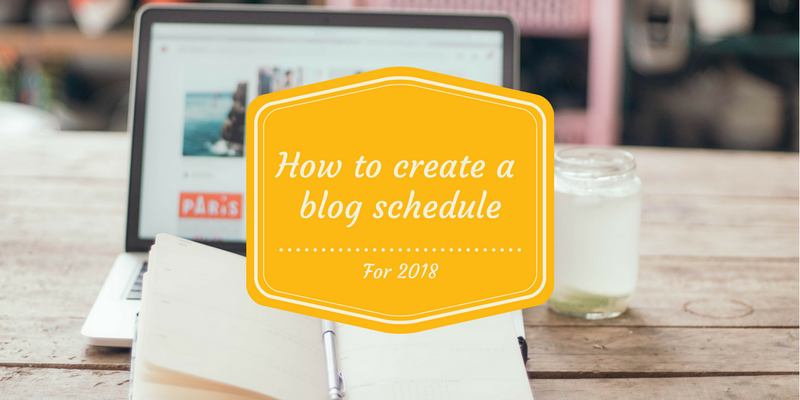 If your New Year’s resolution for your business was to blog more, creating a thorough blog schedule is the best way to get started. It may be simple, but our blog schedule is one of the most-used tools in our arsenal. No matter how positive your intentions, regular blogging can quickly go out the window when things get busy. Setting up a blog schedule in advance gives you something to aim for, and helps keep you accountable. It’s no secret that people who write out their goals are more likely to achieve them. So why does regular blogging matter? Sharing regular content on your blog increases your site traffic, which in turn has SEO benefits. It also provides valuable content for sharing on social media. Ready to get started? Here’s how to create a blog schedule that will keep you on track. First thing’s first: decide how often you want to commit to blogging. While it’s good to challenge yourself, aiming for something completely unachievable won’t help much. As an absolute minimum, you should blog once per week. However, you will see greater benefits from blogging more than that if you can. HubSpot advises that companies that publish 16+ blog posts per month get almost 3.5X more traffic than companies that publish between 0–4 monthly posts. While 16 blogs per month might be a stretch, you may be able to commit to two posts per week. This might sound silly, but we’ll say it anyway: don’t create your blog schedule in a word document. You’ll undoubtedly have to move things around, and it will end up getting messy. We always use a spreadsheet when creating blog schedules. You can have a column for date, title, who will write it, and any notes. You can move things around easily, and it will stay looking neat and tidy. You can also colour-code sections easily for reference. How far in advance you plan your blog schedule is up to you. We like to ensure our blogging activity reflects current business goals, so we plan a quarter at a time. You do you! Once you have the skeleton of a blog schedule, plan your time-specific content first. This means anything that corresponds to a particular date or event. Popular events and trends attract a lot of attention, and readers are more likely to share an article if it relates to what others are talking about. We always find it easier to plan timely content first when we have an empty blog schedule. National events and big industry events can provide plenty of content ideas to populate your editorial calendar. As well as seasonal content (Christmas, Halloween, Easter), think about any conferences, trade shows, or events happening within your business that could provide inspiration for a blog post. We also recommend taking a quick look on Days of The Year for any themed days that could inspire a blog post. Generally, we find this more useful for social media though. Finally, research any developments or events that are likely to happen in your sector and could inspire a blog post. For example, the GDPR deadline or next election. If you’ve already got a company blog, we recommend taking a look back at your content from the last year and analysing what worked well. Make a list of your top-performing posts and work out ways they can inspire more content this year. For example, you could publish a ‘next steps’ blog, listicle, or feature examing the opposite side of the situation. Looking at our site traffic and blog reads, we can see that advice posts tend to perform well for us, so we publish lots of these as well as posts on trending tech topics. Remember: your blog isn’t for you. Think about the content your prospect customers like to read and share and try to post a range of articles that will appeal to them. If you have one, speak to your sales team about the conversations they’re having. Marketing is there to support sales, after all. Check out this article from Buffer on how to repurpose blog content. If your business has an SEO strategy, you’ll know which keywords you want to appear for. 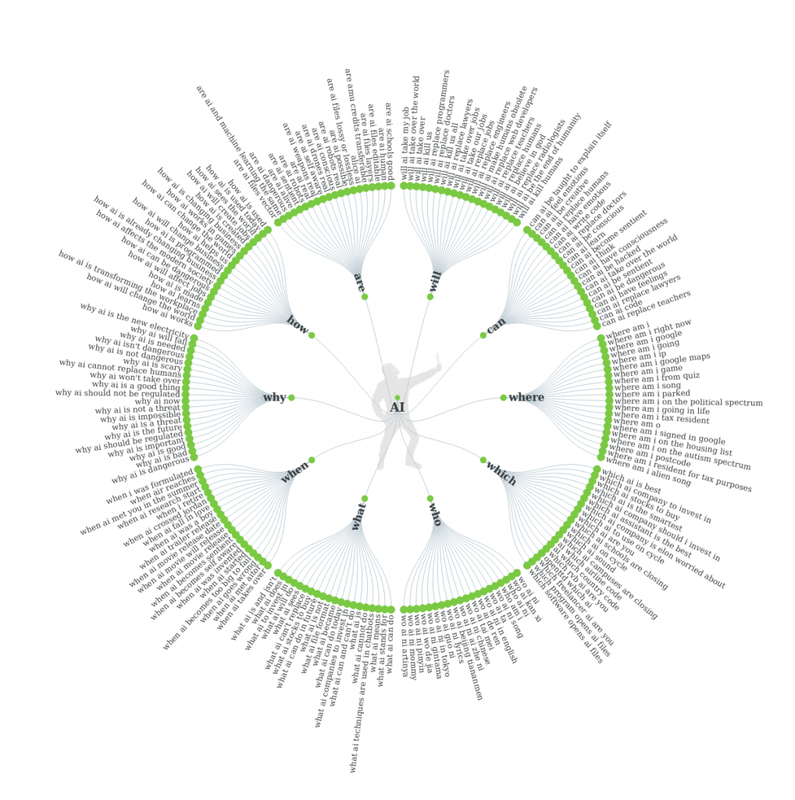 If you don’t, check out this beginner’s guide to keyword researchfrom Moz. The closer you can get your blog titles and content to match these search terms, the better. This way, your blog will (hopefully) appear when users are searching for these queries. Your next step is to generate some content ideas featuring big topics in your sector. Don’t get this confused with the above — there is a subtle difference. For example, if you are AI firm, your keywords might be things like “artificial intelligence”, “AI”, “artificial intelligence firm”, “AI consultancy London”, etc. However, it would also be beneficial for you to explore topics concerning “AI health-tech” or “voice technology” on your blog. Why? Because your target customers might be searching for those things. Once you’ve researched your related topics, pop those into Answer the Public too. As you can see, the phrasing sometimes needs a little tweaking, but the ideas are all there! Don’t be afraid to break from your blog schedule…. yes, really. While the whole point of planning content in advance is to make you more likely to stick to blogging, don’t be afraid to deviate from your blog schedule if a better idea comes along. For example, you might see the opportunity to news jack a story relevant to your sector, or something might happen in your company that you simply have to shout about on the blog. It’s much better to be flexible and adaptable than to rigidly stick to a plan and miss opportunities. Want to chat about blog schedules or content marketing? We’d love to hear from you! Tech and Digital PR, Social and Content agency. Works with businesses large and small to develop PR strategies and high profile coverage.